Hello, darling readers! Today I want to post about my Novel journal that I’ve been working on for my University Novel 2 class. This class is all about completing a manuscript and our teacher has been incredibly motivating. One of her ideas was to keep a journal throughout the year that can allow us to jot down notes and thoughts about our lives and our novel! I’m going to split these posts up so that they aren’t too big and crowded but I’m really excited to show you all a little glimpse inside the process of writing my new novel, The Witches of Belle River! My journal is a Decomposition notebook that I picked up from Dymocks. 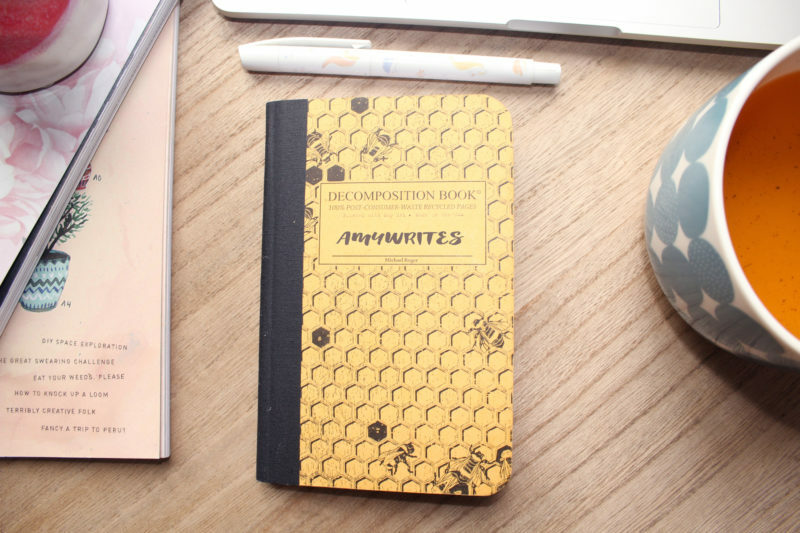 I got the little Bee design one because I’m obsessed with Bees and it really inspired me. More posts soon I promise!